RECENT TRAGIC DV INCIDENT IN CT RAISES QUESTIONS REGARDING PARENTAL ALIENATION THEORIES IN FAMILY COURT! "A Connecticut man viciously attacked his wife and three children on Tuesday morning — before he was fatally shot by police when he refused to stop advancing on them, police sources said. Christopher Andrews, 51, a lawyer with an office at 420 Lexington Ave. in Manhattan, first struck his wife, Kathleen, in their home at 22 Mount Laurel Road in Fairfield, inflicting severe stab and blunt force wounds in the face, police sources said. He then struck his 12-year-old son in the face, attacked his 13-year-old daughter and tried to hit his 15-year-old son with a baseball bat, the sources said. The girl fled to a neighbor and called 911, while the 15-year-old also escaped after he managed to wrest the bat from the deranged dad..."
I did not immediately report on this incident on the blog because it brought up so much turmoil and pain for me. I have personally known victims of domestic violence who have also subsequently ended up being victims of the CT Family Court System because they had the nerve to raise the issue of the physical abuse and/or coercive control they experienced. As a result, for me, this most recent incident of domestic violence coming so soon on the heels of the Baby Aaden case, raises several questions, but one question in particular is the most urgent for me. This is my question: if Attorney Christopher Andrews had survived and like David Messenger been acquitted based upon the insanity defense and eventually released back into the community, would CT Family Court have insisted that the mother continue to co-parent with him? Let's take this further--after a few years, would the mother have been expected to move on and get over the domestic violence, and would she have been required to happily drop the children off with Dad, so father could have unsupervised visitation with him? Would any anxiety she might have at such an arrangement be dismissed as unconscious alienation of the children? Would the children, if they were fearful of their father following this incident, be considered to feel this way because the mother must have been alienating them from their father, not that father had done enough damage all by himself? Isn't this what happened in the Angela Hickman case? Isn't this what happened with Kathi Sorrentino? Isn't this what has happened with so many mothers who have experienced domestic violence and were then accused of parental alienation when they tried to protect themselves and their children subsequently? How can any woman in the State of Connecticut believe the protestations of judges, or attorneys, or law enforcement, DCF, or the State Legislature that they take domestic violence seriously when women who try to defend themselves from abuse end up being accused of parental alienation and lose custody if not all access to their children as a result? The Divorce in Connecticut blog has documented case after case after case where scenarios like this have taken place, and they continue to happen. Mothers who are victims of domestic violence are losing custody to abusive men at alarmingly high rates. What this tells me is that Judges, attorneys, community leaders, legislators are far more worried about the sacred cow of fatherhood than they are about the safety of women and children. There is now an outpouring of financial support and expressions of caring for the Andrews family. They would be far better served if the State of Connecticut would stop harming the victims of domestic violence by taking away their children and cutting these children off entirely from their primary caretakers simply because their mothers sought protection from abusers. 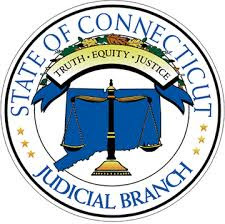 In recent emails, Elizabeth A. Richter, an independent journalist who writes often for the Divorce in Connecticut blog, asked the CT Judicial Branch what their position is regarding judges who tell victims of domestic violence to get over it, and if they don't do so promptly, then accuse them of parental alienation and take their children from them. She was unable to obtain a response from the Branch. Isn't it about time that the Connecticut General Assembly directly addressed this issue and made it illegal for judges to take children away from the victims of domestic violence and hand them over to abusers using quack parental alienation theories as an excuse, as if motherhood accounts for nothing? ANNE GRANT SPEAKS OUT AGAINST THE USE OF "PARENTAL ALIENATION SYNDROME" IN CUSTODY SWITCHING SCAMS IN RHODE ISLAND! THESE VERY SAME SCAMS ARE TAKING PLACE REGULARLY IN CONNECTICUT AS WELL! Please notify me, Anne Grant, ParentingProject@verizon.net if you have any concerns or corrections regarding this testimony. Thank you. Your criteria for selecting nominees includes impartiality, diligence, publications, and sensitivity to historically disadvantaged classes. Barbara Barrow wrote an article for the Rhode Island Bar Journal that disqualifies her for the bench on those grounds. I am posting this testimony with linked references so you can examine the sources for yourself. · He published his theories without standards of peer review that are essential to establish scientific claims. · Dr. Gardner served as an expert witness in more than 400 custody cases. Gardner held that children who claim to be sexually abused by fathers should not be believed. He hypothesized that the mothers had alienated, brainwashed, coached, and programmed their children. In one of the last interviews Gardner gave, Garland Wallerasked what a mother should do when her child accuses a father of sexual abuse. Gardner replied the mother should say: “I don't believe you. I am going to beat you for saying that. Don't you ever talk that way again about your father.”[vii]...."
On December 20, 2013, Colleen Kerwick started the day with joint custody of her child and ended the day stripped of all her parental rights. How could this happen? Through a campaign of legal abuse and harassment which, for advocates such as myself is only too predictable. As I've mentioned, Colleen Kerwick had signed the Marital Agreement from hell on March 25, 2013 which gave both parents a shared access plan, minimal financial support for Colleen Kerwick and her child, plus decision making in the hands of her ex-husband, Kenneth Savino. Still not satisfied with obtaining his freedom at such a minimal cost, after the divorce, Mr. Savino repeatedly attempted to have Colleen Kerwick arrested. Thus, even though both parties do not live in West Hartford, the West Hartford police were frequently sent to the mother's house in Avon to ask questions regarding the child's care while in the mother's custody. To Kenneth Savino's chagrin, nothing came of these visits. Then, in August 2013, after spending the summer months harassing Colleen Kerwick with police, Kenneth Savino filed a motion for sole custody, a reduction in parenting time for the mother, and also requested that Colleen undergo another psychological evaluation. This was when the ink was barely even dry on the Marital Agreement! It is also this writer's understanding that Kenneth Savino spoke to neighbors, medical care providers and school personnel telling them that Colleen Kerwick had lost many of her custodial rights because of mental illness. This kind of slander is extremely degrading and humiliating. Again, Colleen Kerwick has been evaluated several times and she has not been diagnosed with any mental illness, although I would surmise that the kind of intensive legal abuse she has endured must be very traumatic. It was within the context of this kind of ongoing harassment and bullying that the Christmas Holidays arose for the year 2013. There had been much discussion on what would happen during this upcoming Christmas Holiday. Colleen Kerwick had wanted to spend December 20-21 with the child, but Kenneth Savino insisted that he had plans to take the child to Arizona on that Friday, December 20, 2015. The Gal, Kerry Tarpey, shared her view that the child should go with the Father on Friday, and recommended that Colleen Kerwick celebrate Christmas later on after the holiday. Thus, on December 20, 2013, at 9:00 a.m. Colleen Kerwick went to the drop off location--Starbucks in Avon--to transfer her child into the care of her ex-husband, Kenneth Savino. However, he never showed up. 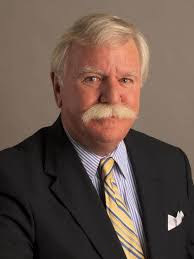 Because at that very time, Mr. Savino supported by his attorney, Attorney Campbell Barrett of Budlong and Barrett, was down at Hartford Superior Court filing a motion entitled "Plaintiff's Ex Parte Motion Regarding the Minor Child's Scheduled Vacation to Arizona With the Plaintiff Father." In it, the father, Kenneth Savino, told the Court that Colleen Kerwick was "refusing to comply with the parenting plan" which granted him access to the child as of December 20, 2013. Of course, you'd think if he really wanted the child, he would have showed up at Starbucks that day to take him! But, as I say, he didn't. This early morning ex parte motion was presented to Judge Olear who promptly granted the motion and ordered Colleen to "transfer the minor child to the plaintiff father at 10:00 a.m. at the child's pediatrician's office." Marshal Kaz was then given a copy of this order to deliver to Colleen that day; however, he appears to have wandered around Avon all that day without actually delivering it, even though he reported seeing her periodically. The end result was that Colleen never actually received a copy of it. Meanwhile, the father, Kenneth Savino, met Colleen Savino at the doctor's office that day at 10:00a.m. but never bothered to take custody of the child and never informed her of the order. Again, the question is: if he was so eager to have custody of the child that day, why didn't he just take the child when he had the opportunity? And he did have the opportunity more than once. I also have a question for Colleen. Knowing that her ex was eager to have the child and that Budlong & Barrett was gunning for her, why didn't Colleen Kerwick simply insist that Kenneth Savino take the child at the doctor's office that morning, which would have been in accordance with their parenting agreement of March 25, 2013? Apparently, Colleen Kerwick believed that she had an understanding with Kenneth that changed the terms of the agreement. Prior to the Thanksgiving Holiday, Kenneth Savino had agreed in writing that he would allow Colleen to celebrate December 20 and 21 with their child since she was not going to be able to be with the child on Christmas Day that year. Thus, when he didn't take the child at the doctor's office, she just thought he'd changed his mind and was going to go with the agreement. Unfortunately, when she brought this argument up later on, it turned out the agreement was not notarized and so the Court did not think it was credible. On the other hand, if you have an ex who is not hell bent to get you, verbal agreements, casual email agreements, and agreements scribbled on paper work quite fine. It all depends upon what you want to achieve. I will grant you, however, that in the days leading up to the 20th, Kenneth made it clear that he wanted to have the child and he wasn't going to abide by that written agreement. But then it turned out that the child contracted pneumonia during that same time period and there was concern about his ability to travel. In his later motion for sole custody, the father stated he had obtained a letter stating that the child was capable of traveling, however, what he didn't mention in his motion (and, of course, it's what doesn't get mentioned that is so important!) is that the pediatrician recommended that the child travel only as long as father brought an oxygen mask along and gave the child antibiotics. Colleen Kerwick could have appeared to be an overanxious mother except when you take into account the history of Kenneth Savino medically neglecting their child. In the first place, if a four year old child is sick with a fever and cough, and is recovering from pneumonia, why are you making him travel anywhere at all. He is sick, for goodness sake! The airline will take that into account and reschedule your flight without charging you an additional fine. And you would think that if you are putting your child's well-being first, that is what you would do. Clearly, Kenneth Savino felt that his vacation was more important than his child's health. This aligns with prior information regarding Kenneth Savino's disinterest in the medical needs of his child. For example, on April 4, 2012, the police arrested Kenneth Savino because he interfered with health care workers who were trying to give his child medical care for a seizure disorder. The arrest report stated, "The officer ascertained, after initiating dialogue with accused [Kenneth Savino], that the child had suffered a series of seizures prior to the notification of EMS. Upon further attempting to converse with the accused, the officer was met with what he would describe as verbiage laced with an attitude of nonchalance a "holier than thou" demeanor, and arrogance. The accused told the officer that his presence, and that of the other emergency service providers, was "overkill" and that his child was ok."
Later, on December 5, 2012, neuropsychologist Dr. Rimma Danov issued a Record Review Report which indicated that during the year 2011-2012 the child "had experienced seizures only during his stays with his father, Mr. Savino." Further, despite professional recommendations to place the child in the highly respected birth to three program based upon developmental delays, Kenneth Savino did everything he could to prevent the child from entering the program. Knowing as I do what a great program the birth to three program is, I can only say that Kenneth Savino's attitude here is nuts! Granting these circumstances, it was only understandable that mother Colleen Savino was extremely worried about passing the child over to the father and did not insist the father take the child at the doctor's office when he appeared to be disinterested. Instead, she went around town doing a few errands, took the child out to lunch, and ended up at Jefferson Radiology where the child had a lung x-ray per the pediatrician's orders as a prerequisite for going on the airplane--hardly necessary if she didn't intend him to go. At the same time that Colleen was carrying out these mundane tasks with the child, Budlong & Barrett dispatched Kenneth Savino, along with one of their attorneys, to the West Hartford Avon police station where they filled out an application for an Amber Alert stating they had no idea where Colleen was and said they suspected she was attempting to flee the country with the child. They said this even though there was voluminous back and forth email communication going on between the law firm and Colleen during the entire time--granted that some of that was interrupted when Colleen's phone temporarily lost energy and had to be recharged. Budding & Barrett alone sent 41 emails to the point where Colleen clearly lost track of them all. It does get to the point where volume of that kind comes across as simple harassment hardly due a response. Then, at around 4:00p.m. that day, Attorney Campbell Barrett of Budlong and Barrett filed "Plaintiff's Emergency Motion to Suspend Defendant Mother's Access to Minor Child and to Award Temporary Sole custody to Plaintiff Father." In it Kenneth Savino claimed that "plaintiff mother disappeared with the minor child." Right--to the local Burgerfi! And further, "The minor child's whereabouts are unknown," even though it was understood she was heading for Jefferson Radiology later in the day. And further, "the plaintiff father is in the process of speaking to the police about obtaining an Amber Alert." Yes, he was in the process, but no police officer in his right mind would have issued one! After all, according to the parties' Marital Agreement of April 25, 2015 father had custody of the child's passport, so there was practically no likelihood they could leave the country together without one. Still, it was in the face of this extraordinarily absurd claim that an Amber Alert was about to be issued that Judge Olear granted the motion giving sole custody to the father and barring mother from any access to the child. In defending their abusive actions, Budlong & Barrett were quick to state (more than once because they think people are deaf) that no Amber Alert was ever issued as if that somehow absolved them. But the bottom line is they tried to get one issued, and further they implied to the Court that, in fact, one would be issued momentarily when they knew that wasn't true. Later that evening police came to Colleen Kerwick's door and took her child from her arms. It was ten months before she was able to see her child again regularly and the court reinstated the shared parenting plan. PAS ONLY APPLIED TO ABUSED MOTHERS IN COURT! DUMBFOUNDED: THE COLLEEN KERWICK STORY, PART V! According to Dr. Sidney Horowitz, Mr. Kenneth Savino appeared "dumbfounded why this legal process is taking so long." I can actually share a little insight into that for Mr. Savino's benefit: when you hire attorneys who are widely known to be as aggressive and bullying as Attorney Eliot Neremberg, Attorney Steve Dembo, Attorney Campbell Barrett and his cohort Attorney Jon Kukucka, this is what you end up with. It is also helpful if you cease repeatedly stating that your ex "needs help" and is "erratic, unpredictable, irrational, and bizarre," and if you stop continually requesting additional psych evals of your ex even though three perfectly well qualified psychologists, including one you agreed to--Dr. Sidney Horowitz, Dr. Stephen Humphrey, and Dr. Rimma Danov--have stated otherwise. Not only is calling your ex-wife crazy in order to incite discrimination and bigotry illegal and a violation of the Americans With Disabilities Act, it is also jerk behavior and simply ungentlemanly. Ok, I keep on saying just don't be a jerk, and as a man you'll save yourself considerable time and money in family court. But the bottom line is that this is such obvious wisdom that I can only conclude that if Kenneth says he can't figure out why the process is taking so long, there is no doubt in my mind that he is being profoundly deceptive--towards himself and towards everyone else involved in this case. I mean, who does he think he is trying to kid? Dr. Sidney Horowitz called into question Colleen Kerwick's candor in this case, but the real big deceiver, in my humble opinion, is our pal, Kenneth, who is so, so "dumbfounded." I do not wish to continue much further with this analysis of the custody evaluation because there is only so much you can get from it. But if there is one vital lesson you should walk away with as a consequence of reading this document it is this--that in this particular case the role of both parents in the life of the child remains vitally important. You can call one abusive or the other one crazy, but the bottom line is this child needs them both. As Dr. Horowitz states, "neither parent appears to be too psychologically disturbed to be able to adequately parent" the child. Yet, "for children to thrive, they need to receive the best from their father and the best from their mother." And, as Dr. Sidney Horowitz states again, this child, "appears to have a psychological bond with his mother and with his father. Efforts need to be maintained to allow for that bond to deepen and to grow. For that to occur with [this child] frequent contact with each parent is absolutely necessary." Seriously--what more needs to be said here. In how many languages do you need to make the above statement before anyone with common sense hears it? Now I understand that lots of things happened in this case after this report was written, additional followups, more testing, etc. etc, but the most powerful and persuasive result of this evaluation is the determination that contacts must be maintained with both parents. Therefore, when I observe what I have seen in the last few years, essentially the father's vicious and determined attempts to eliminate Colleen Kerwick from the life of her child, I can only refer to it as child abuse. If you want to talk "crazy", you want to talk foolish and ill advised, then in no uncertain terms I'd be talking about the father's ill conceived and damaging attempts to prevent this child from seeing his mother based upon completely trumped up grounds. This is particularly abhorrent due to the fact that the child is medically fragile. What this blog documents is the fact that the CT Judicial Branch doesn't care whether children are medically at risk and they will do nothing to make sure that children receive the medical care that they need and will allow the abusive parent to medically neglect children at will. It is a truth about the way the CT Judicial Branch treats children that is sad but true. As one attorney explained to me, the bottom line is that the majority of mothers are at a considerable advantage when it comes to the nurture and care of their children. In particular, when it comes to the Savinos, the pediatrician makes it clear, "Colleen took primary responsibility for the day-to-day care of [the child]," which inevitably means medically as well. If the CT Judicial Branch were to take into account which parent showed better adherence to the medical requirements of their children in making custody decisions, women would win hands down because they are so on top of what their children need. Therefore, to even up the playing field, family court has simply taken the issue of medical neglect right off the table so fathers don't suffer in comparison to the mothers in custody battles. The end result, of course, is the serious and at times life threatening medical neglect of children. This is combined with a policy of diagnosing mothers who express worry about their children's health as being overanxious, overzealous, if not subject to the accusation that they have a full blown case of Munchhausens by Proxy. Thus, even though the Savino's child was clearly delayed developmentally and was subject to occasional epileptic seizures, the response to these issues on the part of the court and Dr. Sidney Horowitz was to minimize these concerns. Thus, Dr. Horowitz describes Colleen Savino as "opining" that the child is developmentally delayed as if there is some doubt about it when, in fact, there was no doubt about it whatsoever. Dr. Horowitz for the better part describes Kenneth Savino as being in denial regarding his child's medical issues, "Mr. Savino did not acknowledge any such delays or intervention." I went through this experience myself with my ex-husband. When an abusive father refuses to address a child's medical needs, there is no better way to torture and abuse your ex-wife by proxy. This is exactly what Kenneth Savino got up to in his vengeful custody battle against his ex-wife, Colleen.